Earlier this week, a sixth grade teacher asked me for help pulling together some resources for a lesson about Maya Angelou. In my research, I came across a poem by Kevin W. Riley, the principal of El Milagro, a charter high school in California. It's not by Maya Angelou, but it's based on her words and her thinking. "A flurry of blogs—including Scott McLeod’s “Dangerously Irrelevant”– have invited their readers to write an open letter to President-Elect Obama. It is a cool idea so I decided to write one. If you scroll down to the next post you will find it. But then I saw Larry King interview Maya Angelou about her poem “On The Pulse of Morning” which was written for Bill Clinton on the occasion of his first inauguration. Dr. Angelou said she has not yet been asked to write an Inaugural Poem for President Obama but said she would write one for him anyway– which is also a cool idea. So I wrote one of those too. This is my Poem on the Inauguration of America. It was written moments after CNN announced Barack Obama as the 44th President of the United States. It gives voice— at least for me— to the deep emotions, the catharsis, and the extraordinary pride I feel in him. And in America. And the very long road we have walked." Hope– tempered, with no guarantee. 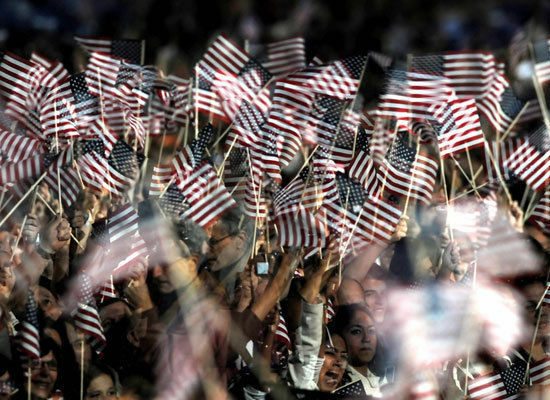 To even once know what it means to be ONE nation. I am your mouth. His voice. That the promise of humankind might at last be realized. Read the rest of Riley's poem here. 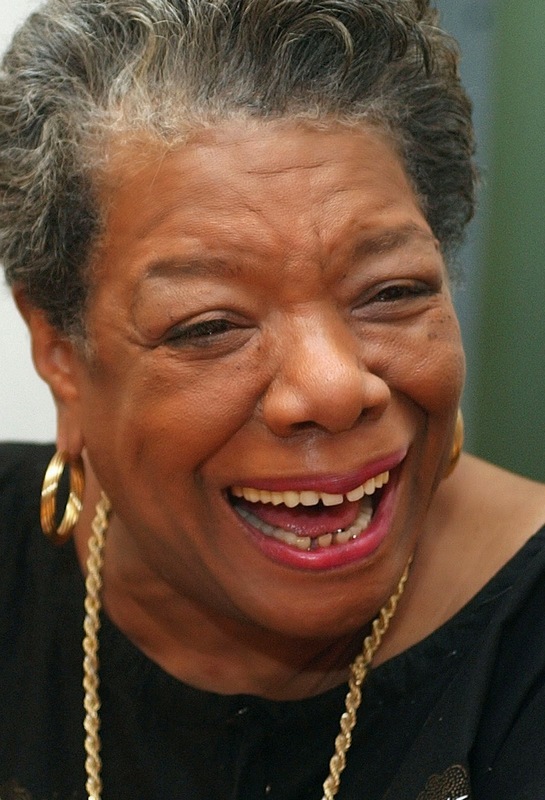 One of the things that I have loved about Maya Angelou is that she was such a bringer of hope, such an "overcomer." I could share her brave, strong words with kids and tell them about all of the hardship she had overcome. I could share with kids how courageous she had been. And I could say to my students, who have lives so hard that it regularly takes my breath away, "Look, you can do it too…"
Diane, at Random Noodling, has the Poetry Friday Roundup. 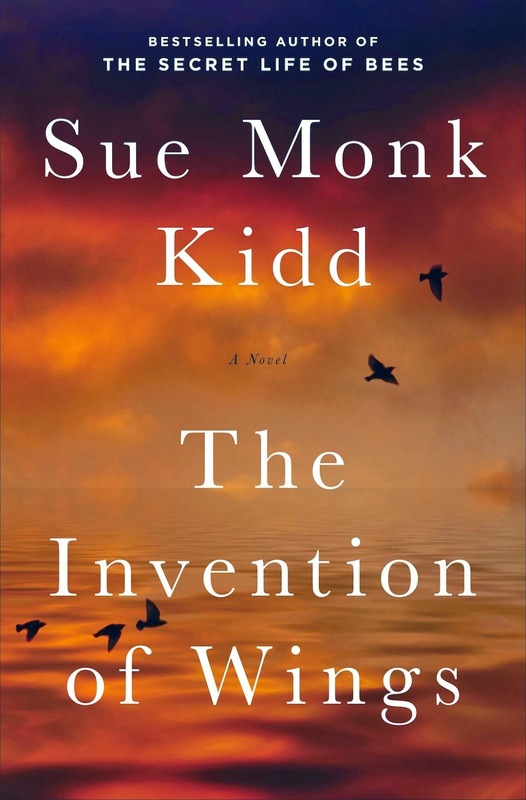 My adult book club is reading Sue Monk Kidd's THE INVENTION OF WINGS. Briefly, it's historical fiction, but based on the lives of two actual sisters, Sarah and Angelina Grimke, sisters from an aristocratic family in Charleston, South Carolina. The Grimke sisters were some of the first female abolitionists on record. For her 11th birthday, Sarah is given a slave, Hetty, also known as Handful, and the story is told in alternating chapters, by Sarah and Hetty. 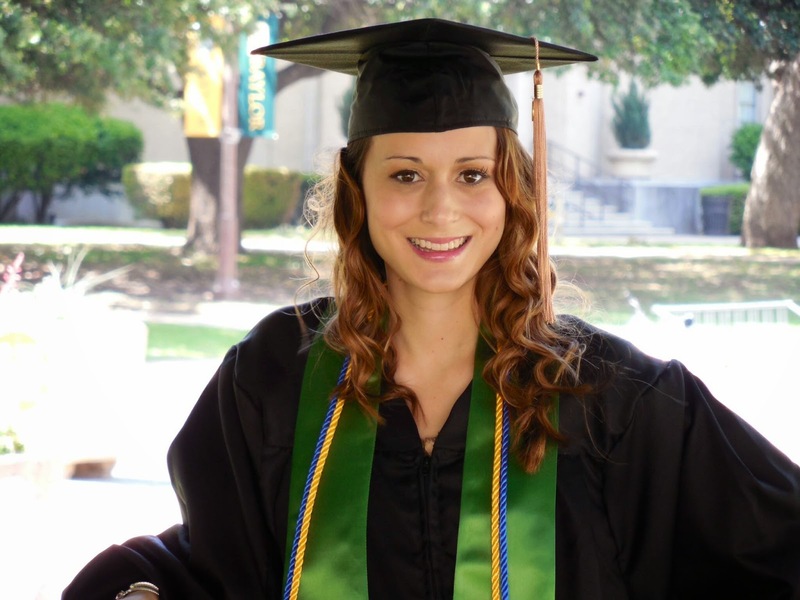 It traces Sarah's grown up, her desire to become a lawyer, her father's stubborn insistence that she take on the more traditional Southern women's roles, and the choices she ultimately make. Handful is her own kind of rebellious, living as a slave, but making her own choices within those narrow confines. As someone who loves historical fiction and love stories of strong women and women's friendships, I've thoroughly enjoyed this book and would recommend it highly. 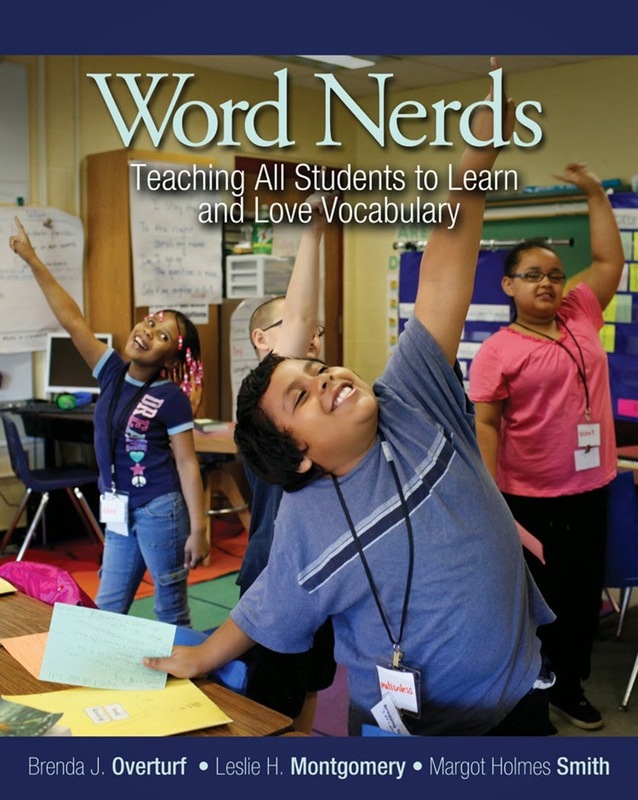 On the professional front, I've just finished WORD NERDS. My school is about to embark on a major academic vocabulary campaign, and I've been reading as much as I can in this area. 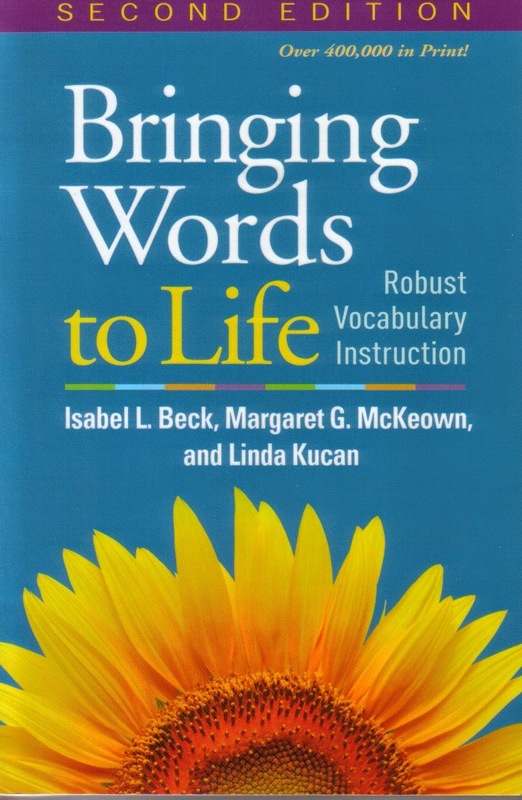 This book, written by a college professor and two teachers, one elementary and one primary, has lots of terrific and really practical suggestions for vocabulary instruction in an elementary classroom. I've shared lots of the ideas with my teachers and they are excited to try them out. We're in the process of deciding what words to use, etc. Stay tuned for more in this area. I was planning to buy this book sometime this summer, but last night, I was out walking the dog. Came across one of those little "take one/leave one" home libraries. Of course, I always have to check them out, and guess what I found????!!!!! Star and I will head back there today to drop off a book or two. On the adult/YA fun front, I'm going to read RUN, DON'T WALK. 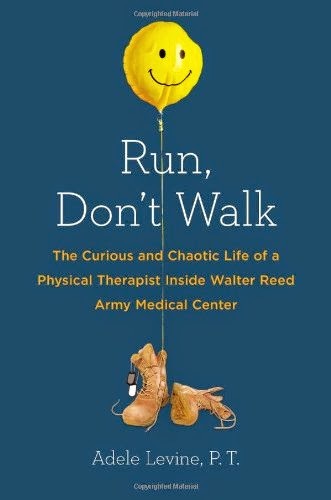 It's a memoir of a physical therapist at Walter Reed. I love memoirs and feel like that's a genre that's often overlooked for YA readers, so I'm always on the lookout for books that might interest them. I checked this one out of the public library. Can't wait two more weeks until I really have time to read! Throughout the month of April, I read Amy Ludwig Vanderwater's fabulous Thrift Store poems. Most days, I commented on her poems. One day, Amy had a giveaway and I won! I won THE POETRY FRIDAY ANTHOLOGY FOR SCIENCE. And in addition to the anthology, Sylvia Vardell and Janet Wong threw in an extra book, the fourth grade student anthology edition. The teacher anthology includes 218 poems by 77 poets- you'll know many (most?) who you will recognize from Poetry Friday. Each student anthology includes the 38 grade level poems from the teacher anthology, but then also five bonus poems! It also includes a glossary, as well as a list of 60 science-related websites for kids. The poems are aligned to the Next Generation Science Standards. There are poems on just about any science-related subject- the scientific process, animals, geology, atoms, the water cycle, sound, famous scientists, the solar system-- that you can imagine. There are a TON of extra resources. Some of these resources are poetry related- there's a section on why to read poetry aloud, another on how to read poetry, ideas for how to start a poetry collection in your classroom and poetry blogs for teachers and kids. Others are science related-- a glossary of science terms, science-related poetry books, more than 60 science websites for kids. There is also an e-book edition that would be super easy to use in classrooms. A terrific resource. Thanks so much Sylvia and Janet! porque también tú lo amabas. feels its warm, loving rays. because you loved it too. You can hear Guadalupe read these poems at the Pomelo Book website. Violet Nesdoly is hosting the Poetry Friday Roundup today. Ok, so anyone who knows me very well knows I am a total fan of dog books. 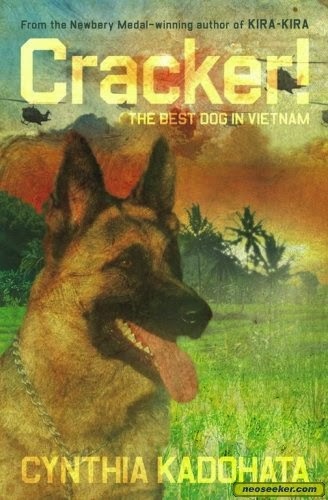 This book, by Cynthia Kadohata, chronicles the relationship of a service dog and his handler in Vietnam. I cried when I listened to the first chapter and I cried when I listened to the last chapter. A really terrific story! I've been trying to expand my middle school horizons. 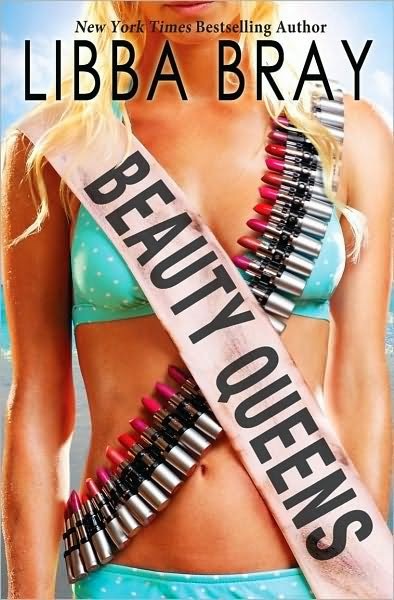 Libba Bray's Beauty Queens is kind of a Miss America meets Survivor theme. Laugh out loud funny in some parts, lots of room, I think, for really rich discussions. I probably wouldn't take this below eighth or ninth grade.